Since our bees made some crooked comb, we had cut off that crooked comb, harvested what honey we could from it, and we still had a lot of comb left over. Once the solar oven was built, we setup the wax purification system. 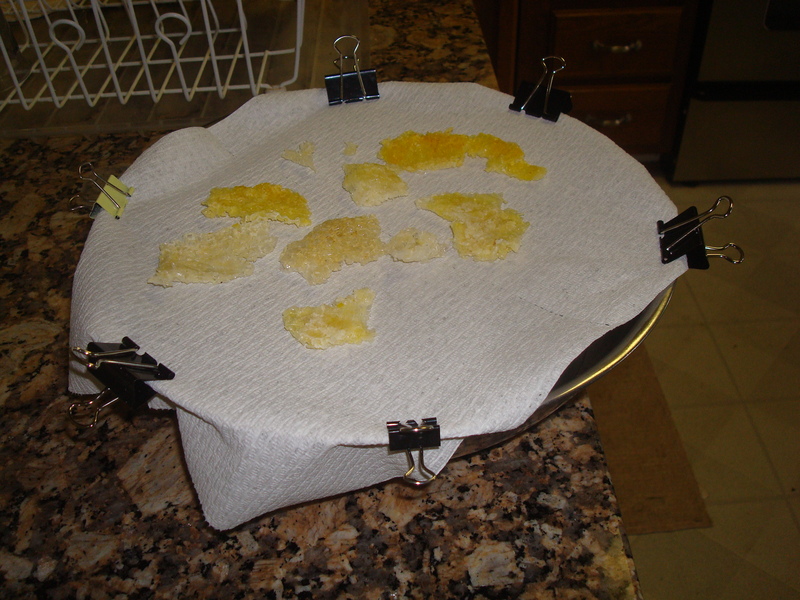 According to George’s research, the way to get the beeswax from the comb and leave behind any impurities was to put the comb on top of a paper towel, which was held over a bowl half filled with water. Here’s the wax melting setup, ready to go in the solar oven. As the wax melts, it will seep through the paper towel, but any impurities will be left on the towel. As the melted wax hits the water it solidifies. 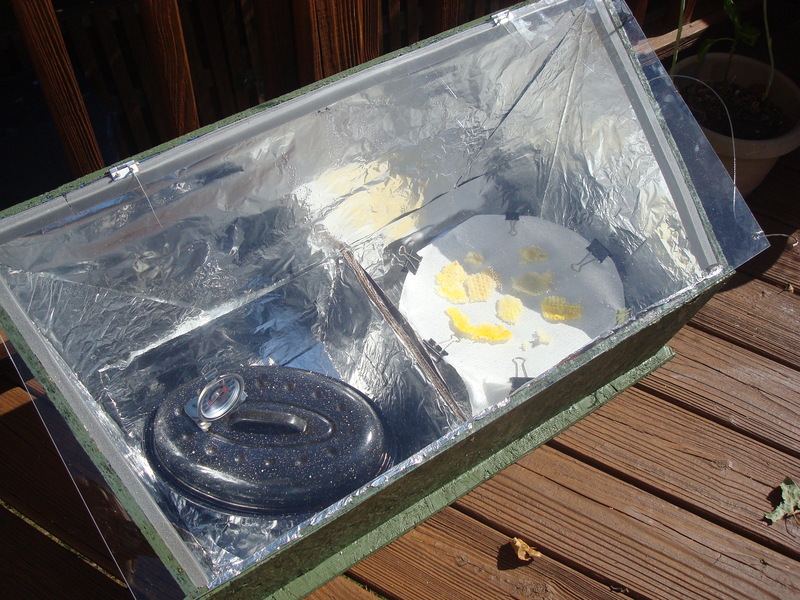 We put this setup into the solar oven, and it worked perfectly. 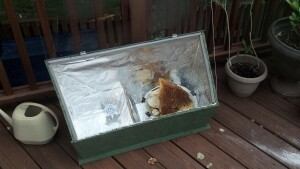 Since our little test run did so well, we melted all the comb we had collected so far. Here are the results of a day in the solar oven. 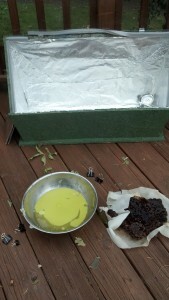 On the left is the bowl, with the refined wax cooled and floating on top of the water in the bowl. On the right is the comb that was left on top of the paper towel, which has had all the wax melted off it. 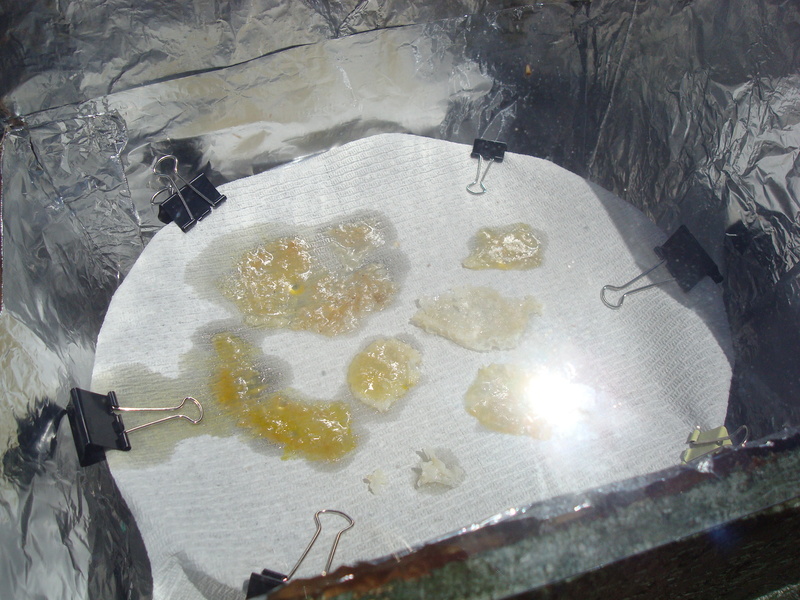 Melting the wax from the comb in the solar oven was a great success. It was easy and effective. Now we have all this filtered pure beeswax to use for candles and other fun crafts!